Nazriya Nazim has achieved an enviable status in kollywood within a short period of time. the young actress have made her mark already in a competitive industry. Unfortunately, her name has also appeared in a few unflattering rumors. The latest rumor breaks this tradition as the actress is now said to have been cast opposite none other than Ilayathalapathy Vijay. The new movie is yet to be named, but it will be directed by AR Murugadoss of the Thuppakki fame. 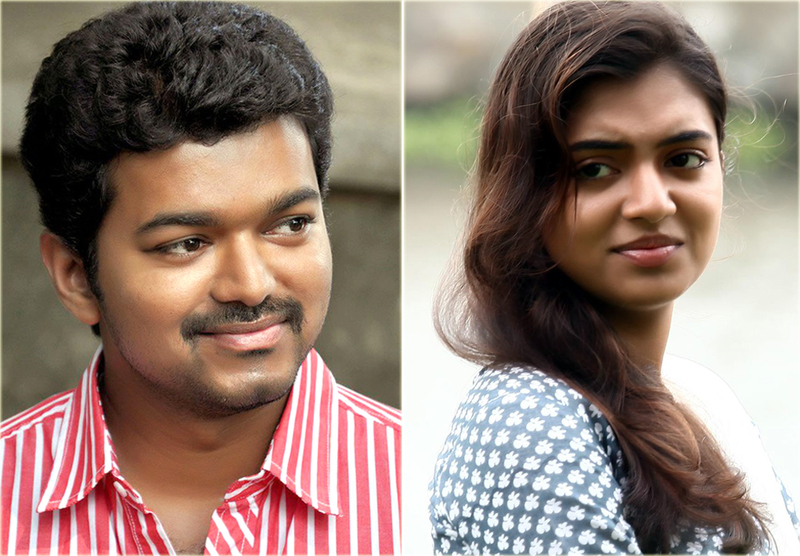 Every aspiring actress in kollywood dreams of landing roles with stars like Vijay and Ajith. Nazriya has managed this feat in a surprisingly short time. the shooting of the film is scheduled to begin as soon as Vijay finish shooting for his current project Jilla. The young actress has already worked opposite Dhanush in Naiyaandi and Arya in Raja Rani. This has prepared her to now try for a bigger role and she has now been cast opposite Vijay. The rise of the dynamic young actress has been meteoric and it is expected that she will continue in her bright path. Perhaps she will soon be cast opposite none other than Thala.